The 12th hole is a short uphill par five and your best chance at birdie. Play your tee shot from the elevated tee box to any place on the wide uphill fairway. Long hitters will have a short to mid iron left. 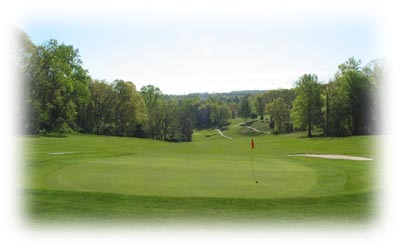 The green is guarded by large bunkers in the front left and front right and by large grass mounds in the back. The green slopes severely from back to front. To have a chance at birdie or better, keep your ball below the hole.